SEATTLE (December 18, 2017) – Ryan Swanson elected Hans P. Juhl and Derek D. Crick to the membership of the firm, effective January 1, 2018. 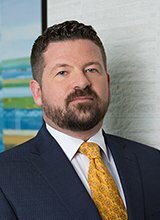 Previously Of Counsel with the firm, Hans’ practice includes litigating both simple and complex trust and estate disputes, real property suits, catastrophic injury claims, major private and public construction claims, and a wide variety of commercial lawsuits. He graduated from Washington State University in 1999, and received his degree of Juris Doctor from Northeastern University School of Law in 2002. Previously Of Counsel with the firm, Derek represents clients on business transactions and general corporate matters, including entity formation, mergers and acquisitions, financings, governance and private equity fund formation and compliance. He also counsels individuals and families with estate and succession planning matters. Derek graduated from the University of Washington in 1994, and received his degree of Juris Doctor from Gonzaga University School of Law in 1998. 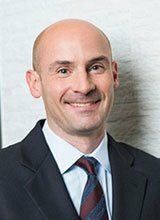 After law school, Derek received his Master of Laws in Government Procurement from George Washington University in 1999 and his Master of Laws in Taxation from the University of Washington in 2011.